I want these plants so badly. I would need a bigger yard but I still want them. 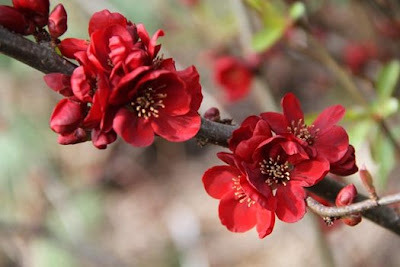 Flowering quince (Chaenomeles japonica 'Atsuya Hamada'). I ache for this one. 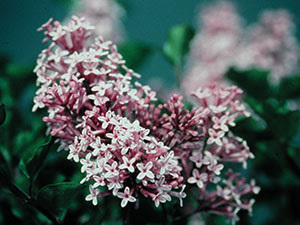 Witch hazel. Any of them. This Hamamelis x intermedia "Feurezauber' would do the trick. A Korean fir. I saw this at Portland Nursery and I wanted to buy it. Sadly, it will take 20 or more years to get to size. 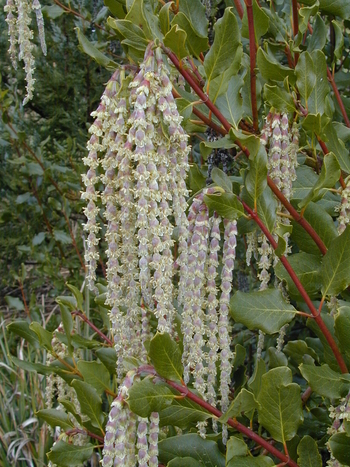 Silk tassel bush (Garrya elliptica 'James Roof'). This is a Northwest native that I never hear about. It's evergreen and look at those flowers! 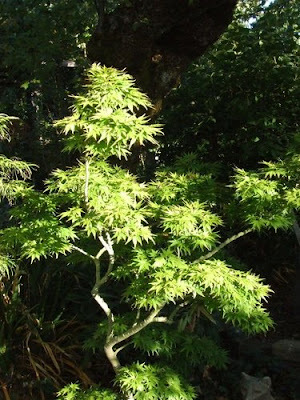 When does gardening Santa Claus come? December? He waits until the crocuses appear, right? When I actually have a yard to beautify, I'm coming back to this post and stealing them all. I'm going to plant those tulips I showed you too. I'm going to have to convince the boyfriend that all these plants are vital to my survival. I'll back you up! Sometimes I feel like I'll die if I don't get a plant. 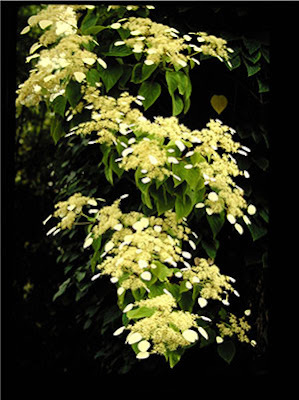 Case in point: I bought that climbing hydrangea 'Moonlight' today. Also: boys LOVE tulips. They don't go around bragging about it but they all do.